The process for designing and planning the future of the jQuery UI library should be open, transparent and in the hands of the community. We welcome input from anyone interested in engaging with the team, from hard-core developers to visual and interaction designers, accessibility experts, product managers, business people, end users and more. Widgets should provide hooks to enable developers to customize both behavioral and presentational aspects. Transition animations should be optional and customizable. Class names used on internal elements should be meaningful to jQuery UI users and enable styling either through ThemeRoller or hand-written CSS via the jQuery UI CSS Framework. As much as possible, style attributes should be separated into the plugin&apos;s CSS, not within the scripts in order to make customization simple and clear. Widgets styles should be coded with proportional (em-based or % based) sizing and should re-flow horizontally to fill the space provided. All widgets should be designed for simplicity, ease of use and aesthetics. We aim to synthesize best practice examples from mobile and desktop OS, web applications and a bit of common sense to create a robust and flexible set of UI widgets that is visually coherent and consistent in behavior. Features should be pared down to focus on what is practical and commonly needed with a system for extending features through customization. 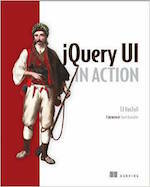 The jQuery UI API is designed to be as simple and intuitive as the jQuery API. You find elements using a query selector, then call a succinct method on the resultant set. There are suitable defaults to cover the most common use cases, so quite often it&apos;s not necessary to specify any non-default options. All options are optional. Given the global audience for jQuery UI, we should embrace the ability to make our plugins work in a variety of languages and cultures. By abstracting language away from the core plugin code and providing options for supporting cultural differences (right to left reading orientation, date and currency formats, iconography, etc.) we can build in the flexibility needed for a global community. 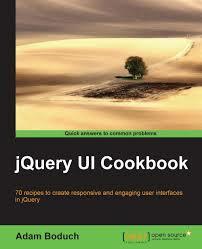 There&apos;s a lot of work that goes into making jQuery UI the most successful UI library for the Web. Between API design, visual design, implementation, ticket triage, bug fixing, developer relations, infrastructure, and everything else, most of the work is done by volunteers. We&apos;d like to recognize the most prominent contributors below, for a full list of all contributors, see the authors list. Alex is the Project Lead for jQuery UI, jQuery Mobile, and Hammer.js and is a team member on the Chassis CSS Framework, and PEP ( Pointer Events Polyfill ) projects, in addition he assists the jQuery Infrastructure and Content Teams. Alex works for Clipper Digital as the Senior front end architect. Alex is a passionate and vocal advocate of accessibility, open source technology, and the future of mobile web. Felix is a freelance web developer specializing in TYPO3 CMS and Symfony2 development. He is currently living in Dresden, Germany. Felix has built the Selectmenu widget and is currently working on the Datepicker widget. Mike is a Senior Software Engineer at Behance, from Plainview, New York. Mike is involved in bug fixing, testing, and code quality efforts across the jquery suite of projects. He focuses his efforts around the CSS/JS interactions and interacts with standards bodies and browser vendors to move the web forward. Xavier rewrote Globalize on top of CLDR and is now its project lead. He also rewrote and maintains jQuery UI&apos;s download builder and ThemeRoller. He has a B.S. in Computer Science from University of Sao Paulo, Brazil. He was a Software Engineer at IBM, where he lead the brazilian team of Q&A and Performance at Linux Technology Center.